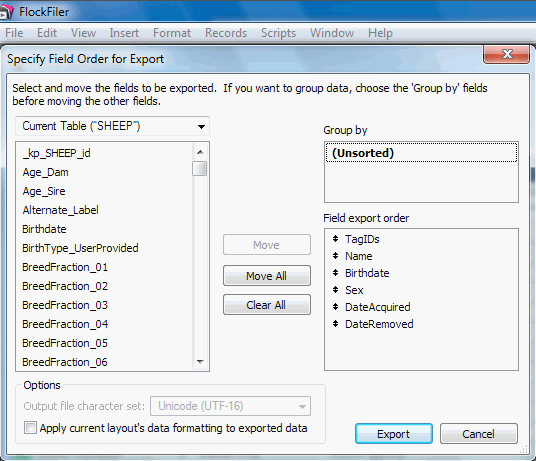 Specify the Fields and the Field Order for the Export Dialog. The powerful export function of FlockFiler Lite lets you save any or all of FlockFiler Lite's fields to a file. Everything you type into FlockFiler Lite can be exported. This allows you to make graphs and charts using a spreadsheet. You might create a custom report by merging records into a form letter in a word processor.